A constant problem for me in the South Island – I certainly wasn’t the only in the area. There was probably a good dozen other people just ahead on the bluff. 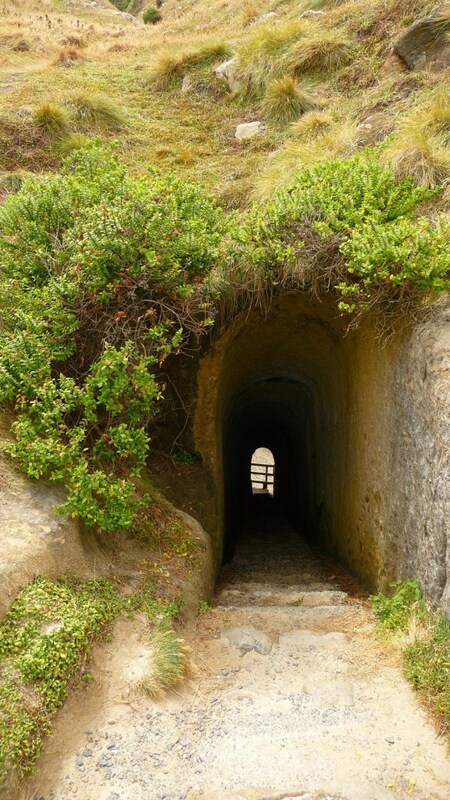 This is the hidey spot the Department of Conservation created for hikers, to try and spot the Yellow Eyed Penguin without disturbing them. No penguins at this time of day however, they were all out eating at sea! Time to play a game! 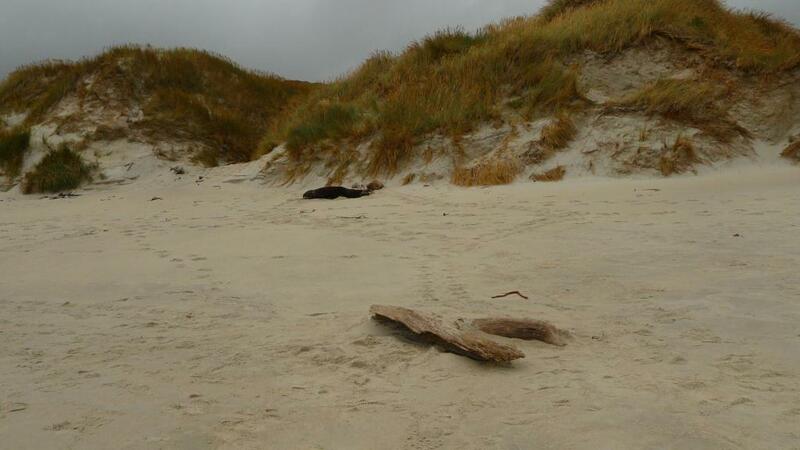 Sea Lion, Rock or Drift Wood? There are 2 Sea Lions in this picture. There are probably at least 6 in the picture from the hidey spot. 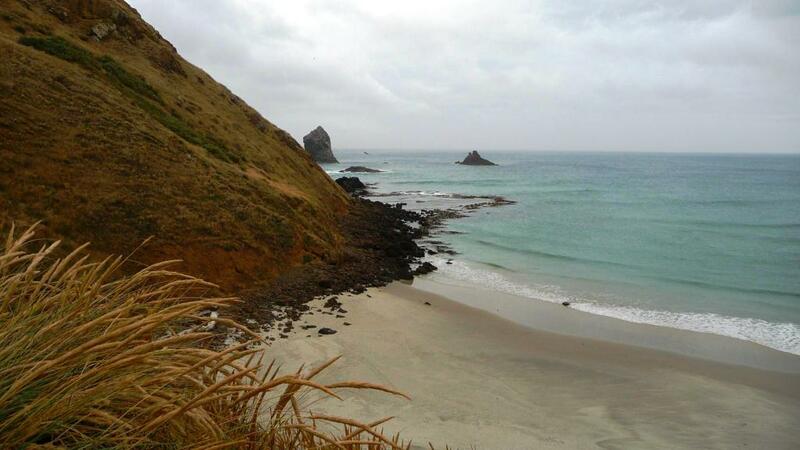 From Sandfly Bay I hiked over to another nearby area. This one simply called ‘The Chasm’. It’s hard to tell from the picture, but this is actually quite impressive and simply huge. Some nearby coastal areas. The weather was simply blahhhhhhhh. ‘Lovers Leap’. I can’t imagine many would survive such a leap. Finally, I drove a little bit and took the ‘Tunnel Beach’ track. Even on the way down I was impressed. 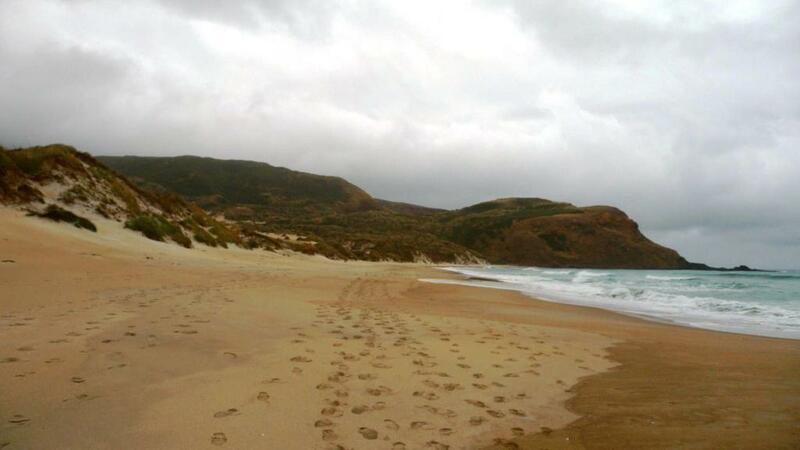 Down to a stunning, private beach. 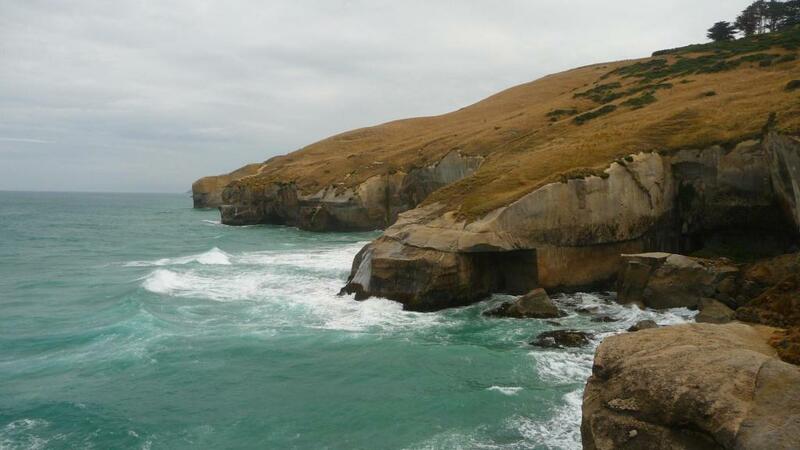 There were even sheltered coves that you could walk to in between the waves. I spent a good 30 minutes here just relaxing and enjoying the waves and scenery. Splendid! Back up on top of the tunnel area, looking at some of the other wave-carved rock. 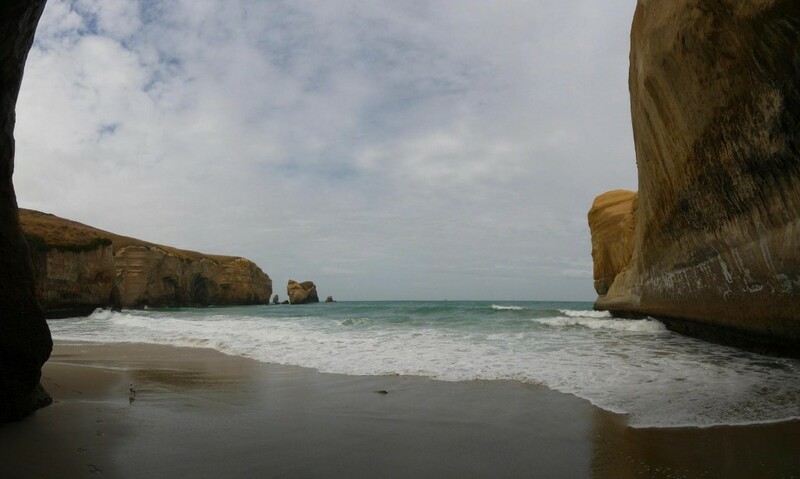 The Tunnel Beach and sheltered cove area. 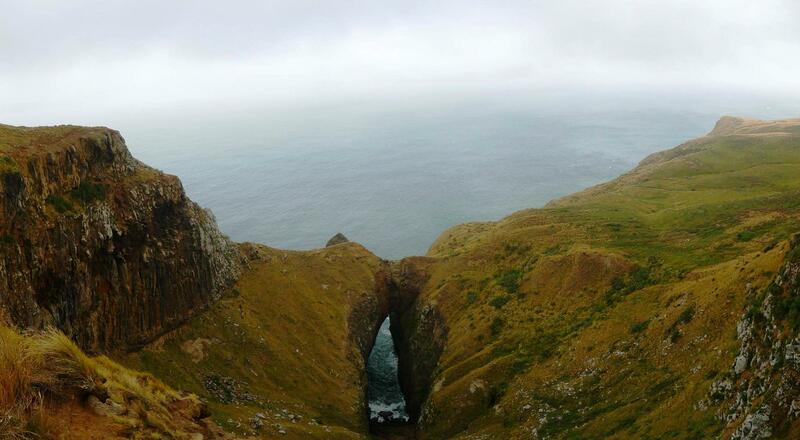 A big arch the wave had carved out. 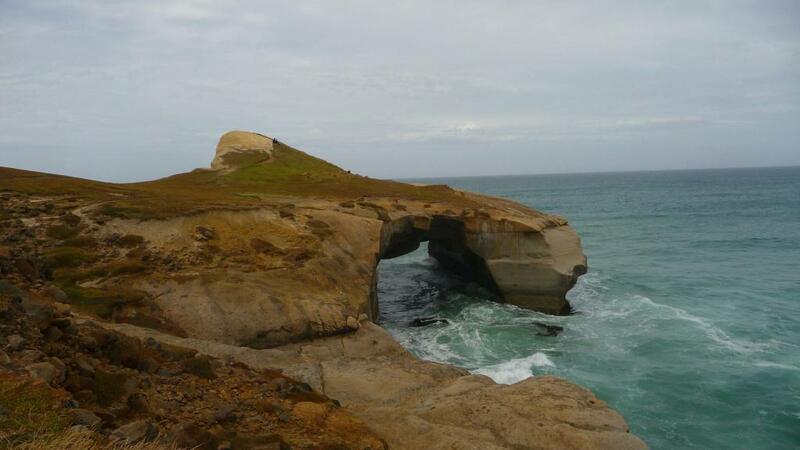 After a considerable climb back to my car, I was finished with Dunedin and the Otago Peninsula. 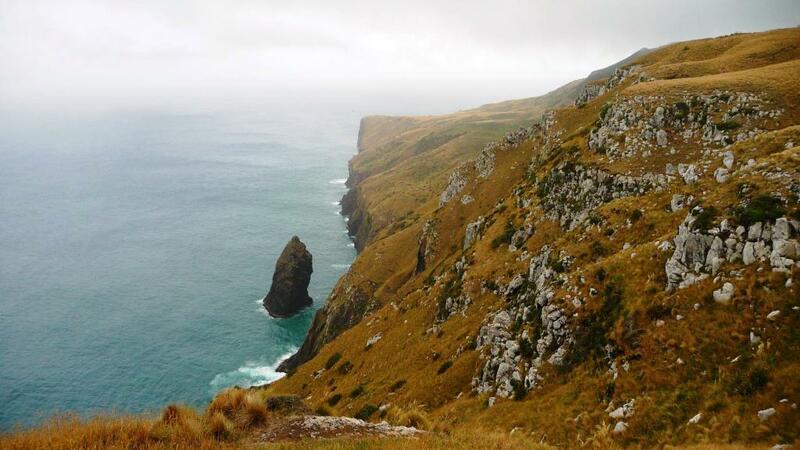 Next up was the Catlins Coast, a place mentioned to me by many as a wonderful, scenic, remote and rarely visited part of New Zealand. I was about to find out both how right, and wrong, those people were. 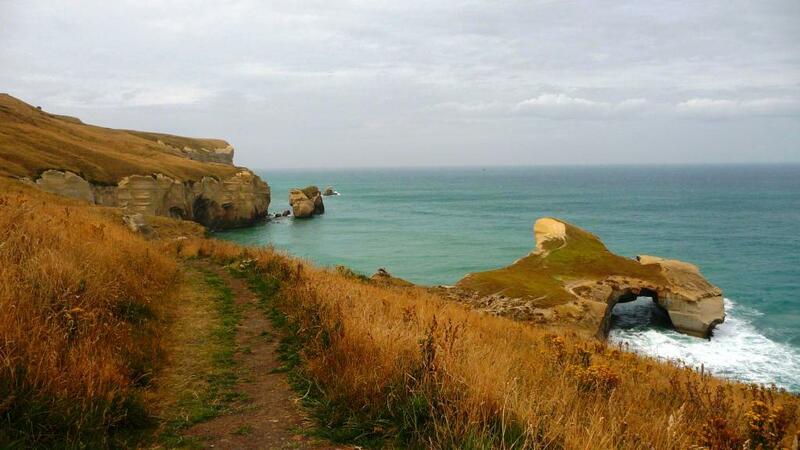 This entry was posted in New Zealand, Otago, Travel by Colin. Bookmark the permalink. 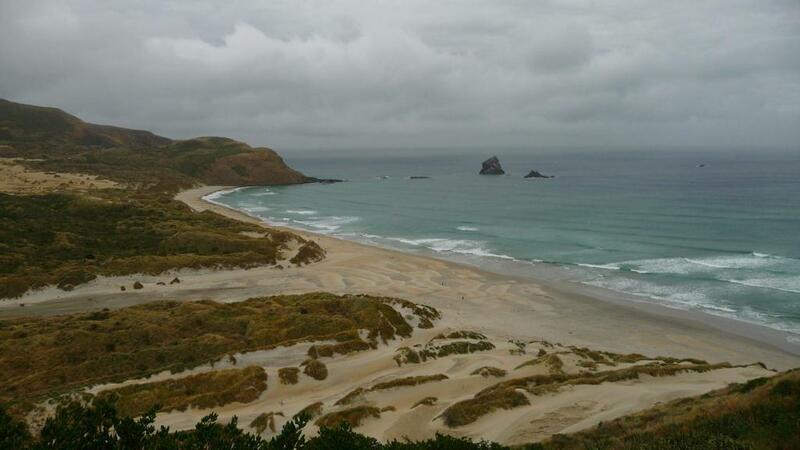 Sandfly Bay isn’t named for the insects (there are none of them there). 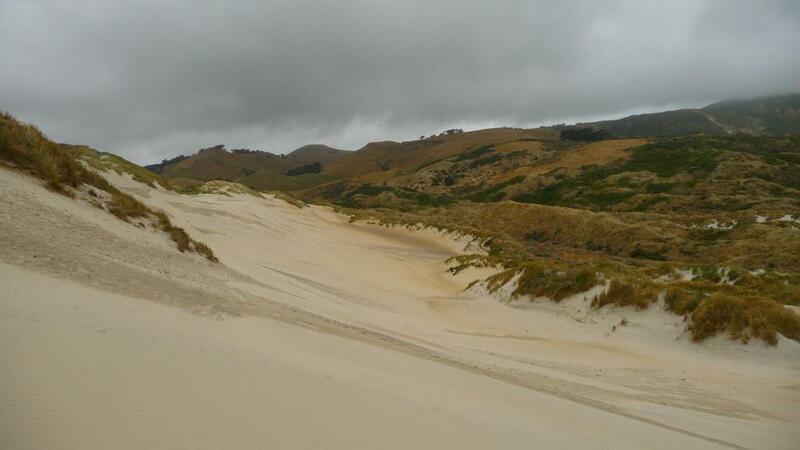 It is called that because the wind whips across the dunes causing the sand to fly across the beach.